Also ran on Penn Common and The Weirs in previous years. Took part in the stallion musical ride in Hyde Park & was picked to ride in front of the Queen because of his temperament. 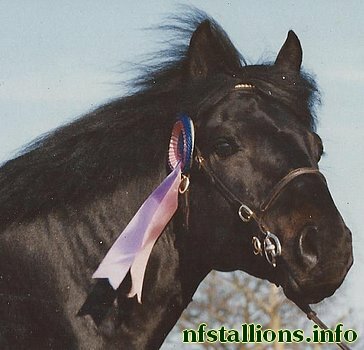 Rodlease High Time Too passed the One-Day Performance Test, which was held by the breed society between 1993 and 1998.